No one is impervious to losing teeth by accident, not even superstar singers like Michael Buble, whose recent concert in Sydney turned out to be a knockout. Literally. During the show, the Canadian jazz and soul sensation knocked a tooth out by accident with his microphone. He tweeted about the incident after the show and assured fans that he would still perform in his last night in the city. One has to admire Buble’s commitment to his work and to the mantra, “the show must go on.” However, will fans see him again with a complete set of teeth? With the teeth replacement options now available from skilled dentists everywhere, the answer is likely “yes”. Saving knocked out teeth, or avulsions, is possible if done within 30 minutes after the tooth is removed. Unfortunately, this does not work in all cases. 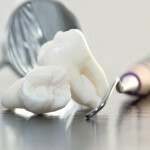 Most of the time, a knocked out tooth is gone for good, and the only solution remains an effective tooth replacement. Those in the Concord, CA area who need teeth replacement should consult an established Concord dentist to learn about their options. A reputable practice, like sm:)e Family Dentistry, can provide several solutions, including those discussed below. Dentures are versatile solutions that can replace anywhere from a single tooth to an entire set of teeth. 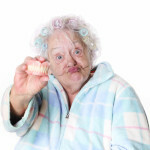 A partial denture is applicable for someone who needs only one tooth or a few teeth replaced. The denture may be supported by adjacent natural teeth, which would need to be drilled down to host the crowns supporting the replacement tooth or teeth. Considered the best teeth replacement option, dental implants involve implanting a metal post into the jawbone, which would later support the replacement artificial crown. The procedure is done per tooth, making it ideal for single tooth replacements. A conventional dental implant can take as long as 6 to 12 months to complete. However, mini-implants, which are used in areas with thinner gums, such as the front top and bottom, can be completed in just a matter of hours or days. 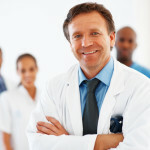 Denture implants combine dentures and dental implants. These make use of metal posts to support a bridge with several crowns. Factors, such as the number of teeth to be replaced, the condition of the gums, and budget, go into one’s choice of teeth replacement. 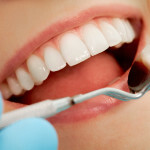 A trusted dentist in Concord can recommend a solution that would fit a patient’s needs and preferences.